Saab lost about $433 million last year. STOCKHOLM (Reuters) - The future of Saab looks bleak after luxury car maker Koenigsegg, backed by China's BAIC, pulled out of a deal to buy the loss-making firm from General Motors Co.
Saab never made money for its U.S. parent, which bought a 50 percent stake in 1990 and completed the purchase a decade later. Sales of the brand have nose-dived and GM, which itself emerged from bankruptcy in July, had said it would sever its ties with the Swedish firm at the end of this year. Saab said it made a loss of about 3 billion Swedish crowns ($433 million) in 2008 and expected to lose a similar amount this year. Its survival plan envisaged returning to profitability in 2011. GM wants to slim down and focus on core brands -- Chevrolet, Cadillac, Buick and GMC. GM's board meets on Tuesday with Saab likely to top the agenda. At the moment, this looks to be the most likely outcome. There are no other bidders for the brand, one person with direct knowledge of the situation told Reuters. GM could, as it has done with its other European unit Opel, decide to keep Saab, but Saab is bleeding cash and is not as key to GM's strategic development as its German sister. This means GM either has to restart the sales process or close Saab. Should another bidder emerge, it would be difficult to complete a deal in the short term and it is unclear whether GM would keep funding Saab past the end of this year. Koenigsegg -- which sells hand-built vehicles for around $1 million -- said it had run out of time after negotiating to secure a deal, loans from the European Investment Bank (EIB) and guarantees from Sweden since June, when a preliminary agreement was reached. Around 20 suitors were linked with Saab after GM said in early 2009 it wanted to sell it. In addition to Koenigsegg, U.S. financier Ira Rennert and his Renco Group, Italy's Fiat S.p.A., China's Geely Automobile -- Ford's preferred bidder for Volvo Car Corporation -- and Dongfeng Motor Group -- were initially linked with a bid. China's BAIC, which was backing Koenigsegg, could still bid for some Saab assets, but is unlikely to take on the whole company, according to analysts. Saab needs massive investment in new models to catch up with rivals and reverse slumping sales in a market among the most difficult ever faced by auto firms. A further wrinkle is that any buyer would need to continue working closely with GM and would rely on the U.S. firm for many parts, tools and much of Saab's technology. Sweden has effectively ruled out a state bailout of Saab. 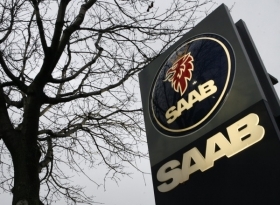 The center-right government, which had embarked on the Nordic country's biggest ever privatisation of state assets before the global financial crisis struck, has consistently said it would not take a stake in either Saab or Volvo Cars. After Koenigsegg's announcement on Tuesday, the government's car czar said state aid would not help an uncompetitive company become competitive, only the private sector could do that. On the other hand, the government is prepared to support a potential buyer. In December last year, Sweden said it would provide up to 20 billion crowns in guarantees and a further 5 billion crowns in emergency loans to the auto industry. The money is meant to ensure that R&D projects and production remains in Sweden. The country was expected to guarantee an loan from the EIB to Koenigsegg before the deal with GM fell through. Saab has around 3,400 employees in Trollhattan, in southwest Sweden. However, thousands of other jobs are linked to the firm, both at its suppliers and in the local economy. Sweden's government came to power promising that less state involvement in the economy would boost employment. But the worst recession in decades has sent jobless figures soaring. Doing nothing to help the region and Saab employees would not play well with voters and a general election is due next year. The government may announce measures to help workers retrain and investment in local projects to create jobs for those who are affected by a closure of Saab's operations. Vehicle production in Sweden is not threatened. Geely has said it will keep making cars in Sweden if it buys Volvo cars and world No. 2 truck maker Volvo and rival Scania continue to produce the bulk of their vehicles in the Nordic country.